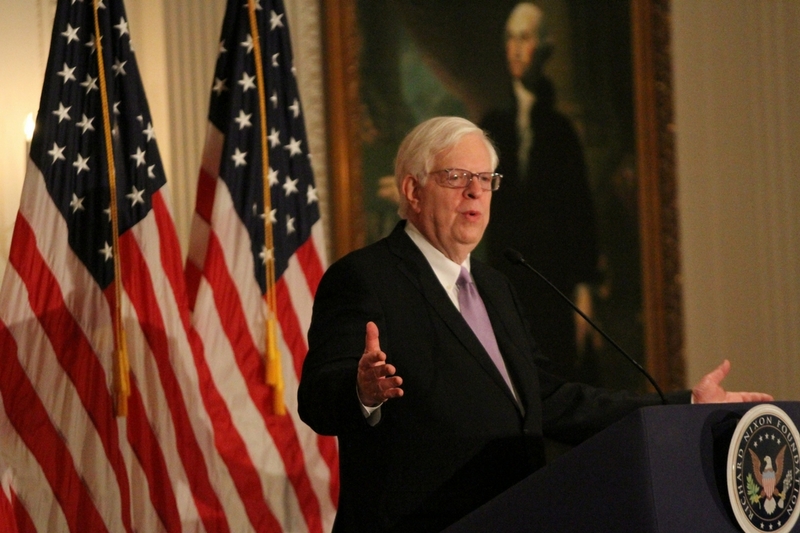 Talk radio personality and bestselling author Dennis Prager delivered remarks to a sold-out crowd of more than 750 in the Nixon Library’s magnificent White House East Room. Prager was on hand to discuss and sign copies of his new bestseller, “The Rational Bible: Exodus” a thought-provoking analysis of the most influential book in the history of the world. Filmed at the Richard Nixon Presidential Library and Museum on April 30, 2018.